Photo: Courtesy of 20th Century Fox Home Entertainment. As kids, we desperately wanted to be one of the von Trapp siblings from The Sound of Music. The film-adaptation of the family's amazing true-life story was an essential of our childhood. So, we were saddened to learn that Maria von Trapp, the last surviving von Trapp child, passed away at the age of 99. Maria von Trapp was the second eldest daughter; in the adaptations, she's represented by the character Louisa. (We're guessing the name change was to avoid having too many Marias running around.) She was actually the reason her father hired a governess in the first place. According to the Austrian Times, young Maria suffered from a weak heart as a child. 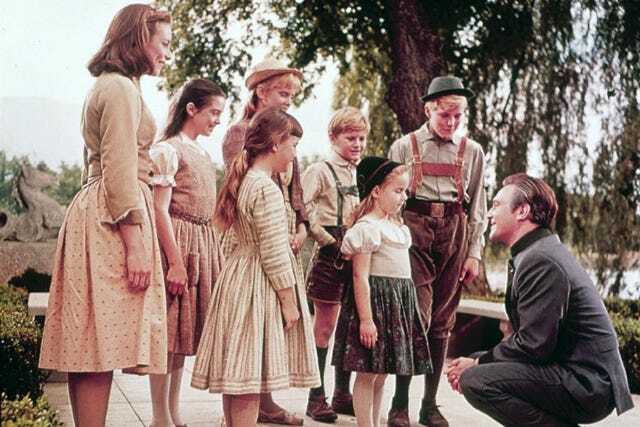 The von Trapp family escaped from Nazi-occupied Austria to the United States in the 1930s, just as the story goes. Maria returned to Austria for a visit for the first time in 2008, but lived most of her life in Vermont, where she died at home in her sleep. In her honor, we'll leave you with this classic scene from one of our all-time favorite movies.